I find myself quite often speaking about duplicate content. Everyone wants great content for their site. No issue there. I totally understand that. At least not without a “best practices” use of a rel=canonical. What the heck is that, you ask? rel = canonical: Web anti-duplication solution? When a website is developed, it is very tempting populate it with a lot of content, especially text content, because “if I want to be referenced, it is necessary that my site have content.” And you’re right; what is the point of having a website if it is not to appear in search engines? So YES, it is the rule of content … ; However, there is the risk of duplication of content. The “canonical” tags are a remedy that we will detail. Duplication of content, what is it? Duplication of content can take many forms. According to Google, this duplication of content can exist with the case of two different sites (ie two different URLs). It’s very common when you put up a news website for example. A news is taken over by another site, then another etc. We thus find many similarities between pages despite different URL. The problem is very common on blogs like WordPress and especially e-commerce sites. For the latter example, the same item or product can be found via dynamic URL (categorize its products requires the use of the rel = canonical tag for each product). There are similar problems with directories, which demonstrates that the misuse of directories should not be used for a website. You can index a site with or without www; it is also a question of duplicate content, have multiple URLs for a home page also, which raises the issue of referrals. Change its URL can also be problematic (404 errors) but does not specify the address change. Therefore the 301 redirect is used to avoid penalizing SEO. This tag is inserted in the <head> section of html code as soon as possible in order to be properly taken into account by the Panda algorithm . Obviously, it is valid for pages indexed and is useless on the noindex. This is one wherein a beacon indicates an absolute URL, namely URL link and taking over all the states so, regardless of the location of the source document. It avoids the use of the beacon in paginated pages (that is to say, pages 2,3,4, etc. 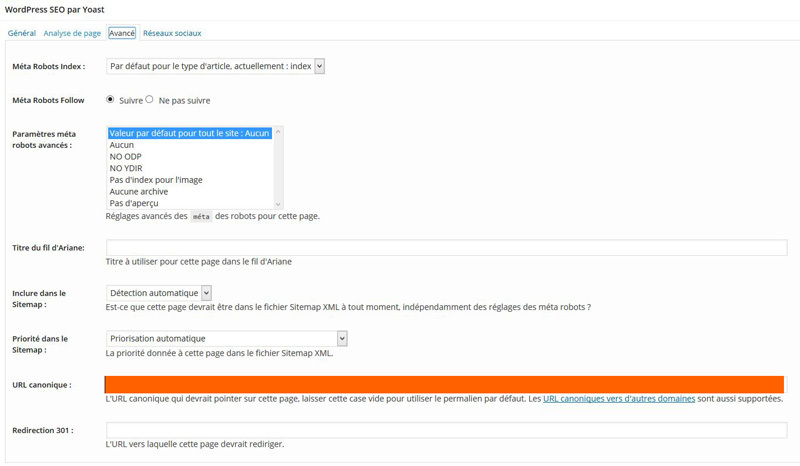 which refer to a page while 1 have different contents) and finally is put that one rel = canonical tag per page.